Another 15 days to go for the Bollywood biopic based on the story of the stellar skipper of Indian cricket team MS Dhoni. His reaction after watching the film is what everyone has been waiting for. 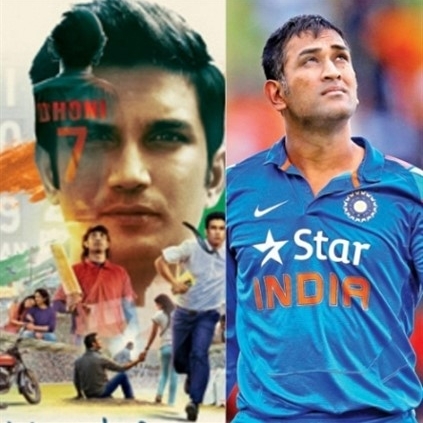 In a casual talk with an online portal, Sushant Singh Rajput, the Kai Po Che actor who plays the role of Dhoni has revealed how he reacted to the film. “Yes, Dhoni has watched it. He was very moved by it and he didn't talk anything for about good 20 minutes and smiled all through”, he said, explaining the skipper’s reception to the film. He also mentioned that he wasn’t sure if Sakshi (Dhoni's wife) had watched the film yet when asked about her reaction. People looking for online information on MS Dhoni The Untold Story will find this news story useful.